Notice: European promo with a Finnish sticker. Sent out by Universal Music in Finland. 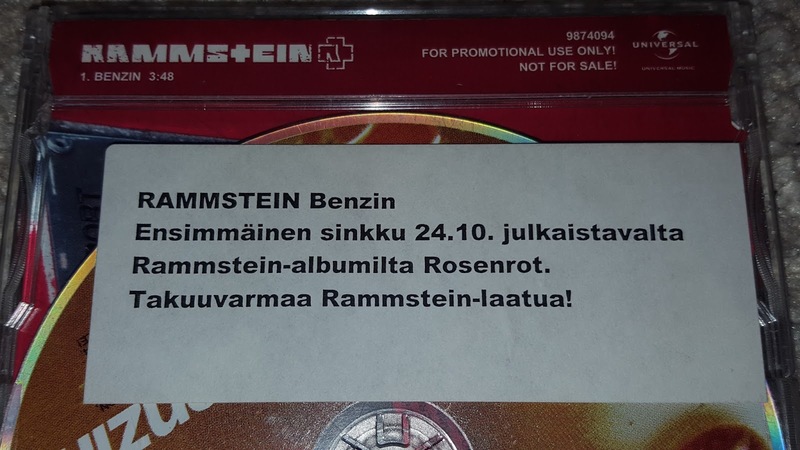 The text translates to: "RAMMSTEIN Benzin. 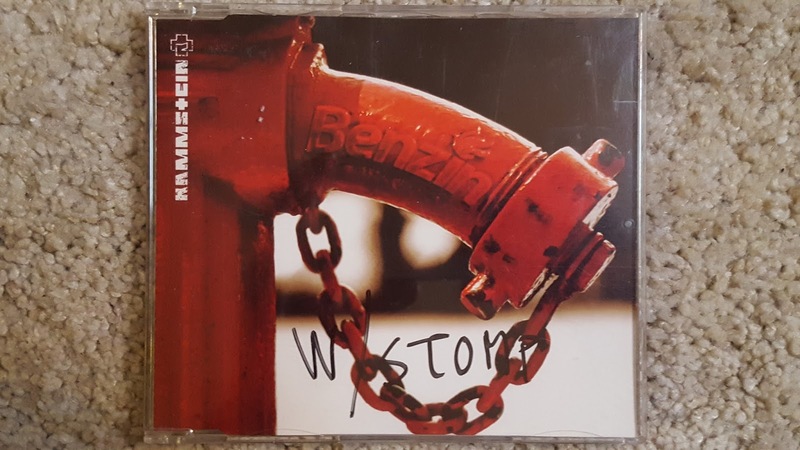 First single 24.10 for sale. 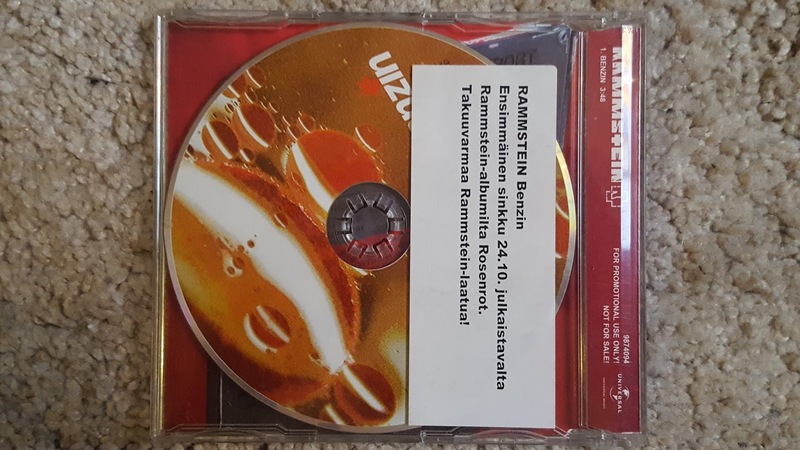 From Rammstein Rosenrot album. Garanted Rammstein class! ".